A year ago, I received an email from Quartz Obsession that looked at the phrase “I heard it through the grapevine,” which, as you know, is a title of a song sang by Marvin Gaye and many other artists. Since this is a very famous phrase, I immediately saw it as a future Famous Sayings post. However, I didn’t know how much I add to the research already done by the writers and researchers at Quartz. As it turns out, there was a lot more research to be done since the Quartz Obsession post (which can be read online) mainly looked at the history behind the song. 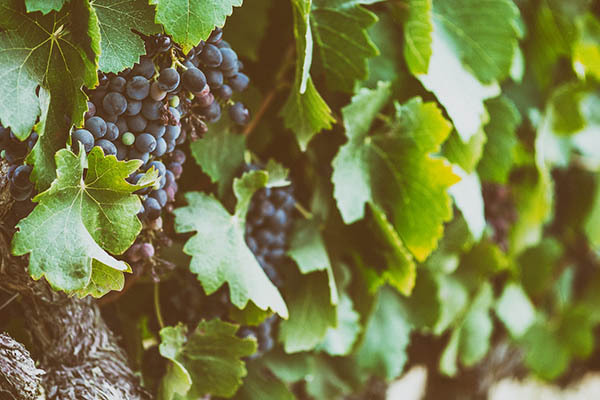 What Does It Mean When Someone Says, ‘I Heard It Through the Grapevine’? When someone says that they heard something through the grapevine, they became privy to some information through unofficial means, most likely through “word-of-mouth gossip.” The person now passing on the information might not know the original source and some of the facts could have become jumbled as the story was passed down from person to person. The information is unsubstantiated, so it should be taken with a grain of salt (“What Does”). Most of the definitions I saw for this phrase mentioned “informal information,” but as EricT_CluniaryLore pointed out on his blog, there’s no point in differentiated between informal and formal information in the definition, since many people now get their information instantly (and often by social media). I can attest to that since many mainstream news outlets and companies now communicate through social media. I would call those official sources, although they are communicated informally. How Did the Phrase ‘I Heard It from the Grapevine’ Come About? There are a few theories about the origin of the phrase, but it is understood that it is a child phrase of the term “grapevine telegraph.” The Slang term had its origins around the 19th century. Most sources I consulted explained that the term “grapevine telegraph” arose shortly after the first telegraph line was opened by Samuel Morse in 1844. The term was first published in 1852 and it was used to describe a telegraph with wires so tangled that they resembled the tendrils of a grapevine. Some sources, like Gary Martin at The Phrase Finder, also surmised that the word grapevine was used as slang because it alluded to the rural poor, who were more likely to be around grapevines. The slang became more popular during the Civil War, when slaves and former slaves dispensed information to Union soldiers. Also, telegraph system was used to dispense propaganda, false information, and real information about the progress of battles, so any information from that system was viewed as unreliable (“Hear through”). Additionally, the term “grapevine” was used to differentiate between information gathered through telegraph and that which came from direct person-to-person conversations (EricT). EricT also explained that the origins of the phrase date back to before the American Civil War. He connected the use of the term “grapevine telegraph” to the “clothesline telegraph” used along the Underground Railroad. Helpers would send coded messages to escaping slaves by putting different colored clothes on clotheslines. (EricT also guessed that grapevines could have been used to substitute for clotheslines in some cases). This type of communication was also replicated during the Civil War, as described by Union Captain John Truesdale in The Blue Coats (1867). Now, Why Was the Phrase ‘I Heard It Through the Grapevine’ Used in a Song? “I Heard It Through the Grapevine” was written by Barrett Strong, who was inspired when he heard the phrase while walking down Michigan Avenue in Chicago (Pasick). Strong took his song to producer Norman Whitfield, who added much of the music to it recorded it with Smokey Robinson and the Miracles in August 1966. Marvin Gaye was asked to record the song, which he did over five sessions between February and April 1967. Whitfield also recorded a version with Gladys Knight and the Pips (Kirby). Although Marvin Gaye made the second cut of the song “I Heard It Through the Grapevine,” his version was rejected in a Motown Quality Control meeting. Motown boss Berry Gordy hated the song and he vetoed its release as a single in 1967. It took Gladys Knight and the Pips scoring a hit with it that year for that song to gain some headway, but Gordy finally relented when Whitfield sneaked Gaye’s version on Gaye’s 1968 album, In the Groove and the song received a positive reception in Chicago once WVON DJ E. Rodney Jones played it for his listeners. Gaye’s version eventually rose to the top of the Billboard Pop and R&B charts. It sold over 4 million copies, then a record for Motown (Betts). In the Groove was later retitled I Heard It Through the Grapevine due to the song’s popularity (“Listing”). I would be remiss if I didn’t leave you with the single by Marvin Gaye. Enjoy. Betts, Graham. Motown Encyclopedia. Self-Published. 2014. Print. Pages 249-251. Accessed via Google Books. Retrieved 13 April 2019. <https://books.google.com/books?id=RG_LAwAAQBAJ&pg=PT251#v=onepage>. Bickman, William Denison. “Chapter XVI: Social Life in Nashville.” Rosecrans’ Campaign with the Fourteenth Army Corps, or the Army of the Cumberland. A Narrative of Personal Observation, with an Appendix, Consisting of the Official Reports of the Battle of Stone River! Moore, Wilstach, Keys & Co. Cincinnati; 1863. Print. Page 112. (Accessed via Google Books.) Retrieved 13 April 2019. EricT_CulinaryLore. “Why Do We Say ‘I Heard It Through the Grapevine’ – What’s the Origin?” CulinaryLore. 19 Feb 2013. Weblog. Retrieved 14 April 2019. <https://culinarylore.com/food-history:heard-it-through-the-grapevine/>. “Hear it Through the Grapevine.” Idioms Online. Web. Retrieved 14 April 2019. <https://www.idioms.online/hear-it-through-the-grapevine/>. “hear on the grapevine meaning, definition, examples, origin, synonyms.” The Idioms. Web. Retrieved 14 Apr 2019. <https://www.theidioms.com/hear-on-the-grapevine/>. “Hear through the grapevine.” The Free Dictionary. Farlex, Inc. Web. Retrieved 13 Apr 2019. <https://idioms.thefreedictionary.com/hear+through+the+grapevine>. Kirby, Hilary. “The Life of a Song: ‘I Heard It Through the Grapevine.’” Financial Times. 23 Oct 2015. Web. Retrieved 13 Apr 2019. <https://www.ft.com/content/9609a636-7743-11e5-933d-efcdc3c11c89>. “Listing of song titles beginning with I : page 5.” Don’t Forget the Motor City. Web. Retrieved 13 Apr 2019. <http://www.dftmc.info/titles/ti-05.htm>. Martin, Gary. “Heard it through the grapevine.” The Phrase Finder. Web. Retrieved 14 April 2019. <https://www.phrases.org.uk/meanings/heard-it-through-the-grapevine.html>. Pasick, Adam. “‘I Heard It Through the Grapevine’ — Quartz Obsession.” Quartz. 12 Apr 2018. Web. Retrieved 13 Apr 2019. <https://qz.com/email/quartz-obsession/1250984/>. “What Does Heard It Through the Grapevine Mean?” Writing Explained. Web. Retrieved 14 Apr 2019. <https://writingexplained.org/idiom-dictionary/heard-it-through-the-grapevine>.